To book a camper is fast and easy. Pick your dates and where you would like to pick the rental up from. Secondly, choose the vehicle type that suits you best, do you want a toilet and shower? Lastly, we contact the suppliers for you to negotiate the best price on the market to come back to you with huge savings! Every year, tens of thousands of holiday goers begin their vacation in the great outdoors. 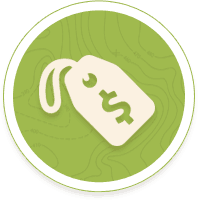 Increasing in popularity, campers are the perfect way to see the sites while saving money. With not everyone having the right resources or interest in purchasing a camper, the number of camper van rentals continues to increase every year. Eliminating the costs of storage and maintenance, renting a campervan can provide all of the benefits with none of the drawbacks. Listed below are the various companies that allow you to rent campervans. 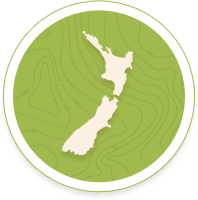 Lucky Rentals NZ – Proclaiming that they have the cheapest camper rentals in all of New Zealand, Lucky Rentals has had years worth of experience providing backpackers, drivers, and campervan rentals with exactly what they need to tour this beautiful country. One of the best ways to see this stunning country, Lucky Rentals sets you up to see these sights and sounds with a high degree of comfort. Available Vehicles: The Lucky Rentals NZ line includes 2, 3, and 4 berth campervans for rental. This includes the Lucky Roadie, the Lucky Ranger, the Lucky Rover, the JUCY Cabana, and the JUCY Condo. All campervans from Lucky Rentals NZ are later models, dating from between 1998 and 2009. Locations: Lucky Rentals NZ is located at 104 Carmen Road, Russley Christchurch 8042 New Zealand. Lucky Rentals also offers 24/7 roadside assistance for all campervans rented through their service. In addition, there are locations at Auckland, Dunedin, Queenstown, and Wellington. Jucy NZ – With an incredible like of JUCY campers to choose from, Jucy hopes to be your #1 choice when it comes to touring around New Zealand. Along with locations at all major airports in the country, Jucy NZ combines a wide range of a deals as well as useful tips and tricks that many tourists find very helpful. In addition, Jucy can help you arrange and even plan trips if you are interested in having some help getting to the destinations you are most interested in seeing. Available Vehicles: The Jucy fleet includes three campervans in the Jucy line including the Jucy Cabana, the Jucy Condo, and the Jucy Chaser models. Locations: Jucy is located in a variety of locations around NZ, including at the Auckland Airport, Auckland City, Wellington Airport, Christchurch Airport, Dunedin Airport, and the Queenstown Airport. Spaceships NZ – Offering the freedom to explore New Zealand in its very own custom designed campers, Spaceships NZ provides countless opportunities for you to take control of your own vacation and see what you want to see. With extensive travel information and a variety of other services provided for free, Spaceships NZ hopes to entice you with a solid campervan and a variety of extra services. With a great deal of attention spent on your overall satisfaction, Spaceships NZ is a safe bet when you want an experienced team behind you. Available Vehicles: The campervans by Spaceships are all custom designed and depending on your need you can choose from the Rocket 2, the Beta 2, and the Beta 2S Spaceship. Locations: Spaceships has two primary locations. These are in Christchurch and Auckland respectively. Happy Campers – Designed around providing tourists with a low cost opportunity to tour around this beautiful country, Happy Campers has had years worth of experience making memorable vacations possible. Understanding the needs of the modern day travel, Happy Campers vehicles are certified as fully self contained, making them excellent and versatile campers to bring to even the most remote locations in the country. So, whether you want to go to the popular spots or spend your time traveling beyond where normal tourists go, Happy Campers is a good choice. Available Vehicles: The Camper provided by Happy Campers include the Happy Sleeper, the Happy 2, the Happy 3, the Happier 3, the Original 3, the Happy 2 S&T, the Happy 4, and the Original Sleeper. Locations: Happy Campers has two locations at Christchurch and Auckland. Backpacker Sleepervans – With over 30 years experience serving locals and tourists alike, Backpack Sleepervans has made a name for itself by providing outstanding travel transportation services. An affordable and fun experience, Backpacker Sleepervans works hard to make your holiday truly memorable. Available Vehicles: The gold standard of the company is the Backpacker Sleepervan. Small, versatile, and to the point, the Sleepervan can provide the versatility you need to get to all points throughout New Zealand. Locations: Backpacker Sleepervans have pick up locations at Auckland, Wellington, Picton, Greymouth, Christchurch, Dunedin, and Queensland. TUI Campers – Targeting the budget minded travel, TUI Campers works to be the most flexible, comfortable, and affordable service in the country. With the latest models of campers as well as 24-hour roadside assistance, TUI Campers works to provide you with peace on mind on your holiday. Available Vehicles: The campervan rentals at TUI Campers include the Trail Finder: 4 Berth, the Trail Finder: 4 + 1, the Trail Seeker: 2/4/6 Berth Self Contained, and the Tui Bushcamper: 4WD Motor Home. Locations: TU Campers locations include Auckland, Wellington, Picton, Greymouth, Christchurch, Dunedin, and Queentown. Budget Campers - Budget Campers has over 20 years experience ensuring its customers with exceptional service, highly competitive campervan rental rates, and reliable, modern campervans. From popular destinations to secluded little spots that will take your breath away, Budget Campers will get you where you want to go. Available Vehicles: The three models of campervan provided by Budget Campers includes the Budget Finder, the Seeker, and the Budget Escape. Locations: Pick up locations for Budget Campers include Auckland, Wellington, Picton, Greymouth, Christchurch, Dunedin, and Queenstown. Freedom Campers – Another NZ based campervan service offering excellent rates, Freedom Campers markets itself as the budget camper service. With a service designed to get you going as soon as possible, Freedom Campers works to provide you with a trustworthy campervan that is not only capable of exploring NZ in comfort but also within budget as well. Available Vehicles: Freedom Campers include 6 different models of campervans for rent. These include the Path Finder, the 4 + 1 Path Finder, the Path Seeker, the Path Escape, the Path Explorer, and the 4wd Bushcamper. Locations: Pick up locations for Freedom Campers include Auckland, Wellington, Picton, Greymouth, Christchurch, Dunedin, and Queenstown. Discover NZ – A small enterprise, Discover NZ takes a drastically different approach from its competition by creating a unique and personable campervan experience. Family owned and operated, Discover NZ has won a number of awards for superior service. In addition, it continues to be a dependable service that brings back holiday travelers again and again. Available Vehicles: Discover NZ offers the 2 berth Std, the 2 berth Deluxe S/T, and the 4+2 Berth Deluxe models for rent. Locations: Situated in the top of the southern island among the numerous national parks, Discover NZ offers a variety of shuttle services to get you from many of the popular and city airports to their campervan rental. Kiwi Auto Homes – With nearly 20 years of operation, Kiwi Auto Homes adds to the list of family owned business looking to provide a superior holiday in New Zealand for those wishing to see things on their terms. Along with providing full demonstration of all features associated with your campervan, Kiwi Auto Homes goes the extra length by ensuring your continued satisfaction over the course of your stay. Available Vehicles: Campervans that are available for rent by Kiwi Auto Homes includes the Concord, the Espirit, and the Riviera. Locations: Kiwi Auto Homes are located in Auckland and Christchurch for pick up and drop off. Britz NZ – Whereas Discover NZ offers a personable service with small selection, Britz NZ takes the different approach by offering an incredible selection of campervans to choose from. Designed around providing you the right campervan for your needs, Britz NZ makes sure you have what you want to get around and truly enjoy everything your holiday has to offer. Whether you are traveling to a remote beach or to popular destinations located across New Zealand, Britz NZ will help get you there. KEA NZ – Kea NZ sets itself apart from the competition by providing higher end campervans for those looking to travel in luxury. With increased interior space and more options, these campervans are for those who can afford spending a little extra while touring around the sites and sounds of New Zealand. Available Vehicles: the KEA NZ campervan line includes the 2KQ Luxury Campervan, the 2+1KQ Luxury Campervan, the 4KQ Luxury Campervan, and the 6KQ Luxury Campervan. Locations: Given its approach towards the Campervan rental industry, KEA NZ only has two locations at Christchurch and Auckland respectively. Maui NZ – Maui campervans are specifically designed with your needs in mind. Stressing functionality, Maui hopes that their line of campervans will provide you with the style and comfort you look for while on holiday. With exclusive additional services only available to Maui customers, you can be sure that your holiday will be stress free. In addition, Maui NZ often has various savings and customer rewards, making it an excellent company to check up on to see what they have. Available Vehicles: Maui NZ carries a range of campervans, including the Ultima, the Beach Campervan, and the River Campervan. Locations: Maui NZ provides pick up and drop off points at Auckland, Christchurch, and Queenstown respectively. United Campervans – United Campervans is a subsidiary of Maui NZ, meaning that all business that was once United Campervans has now been taken over by Maui NZ. This is good news because through this transition, the very best in services by United Campervans is now being matched and added onto by the style and comfort often associated with the Maui line. Keeping to their locations and vehicle selection, you can be assured that while the name has changed, the same great service and quality is still there. Available Vehicles: United Campervans carries a range of campervans, including the Ultima, the Beach Campervan, and the River Campervan. 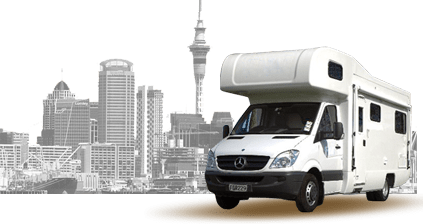 Locations: United Campervans provides pick up and drop off points at Auckland, Christchurch, and Queenstown respectively. Alpha Campervans – Alpha Campervans was recently taken over by Britz campervan hiring services. This combination brought together the customer support features of Alpha Campervans with the wide selection and range of campervans seen with Britz. What this means for you is a superior service that you will be able to rely on while traveling to even the most remote parts of New Zealand while traveling in a campervan that perfectly matches your needs while on holiday. Available Vehicles: Available campervans include the Trailblazer, the Venturer, the Venturer Plus, the Hi Top, the Explorer, the Voyager, the Explorer Auto, the Outbounder, the Frontier, the Cruiser, the Discovery, and the Action Pod. Locations: Britz NZ has locations around Queenstown, Christchurch, and Auckland for your convenience. Mighty Campers – Providing a wide range of car and campervan rentals, Might Campers works to make the entire experience of hiring a camper simple and straightforward. 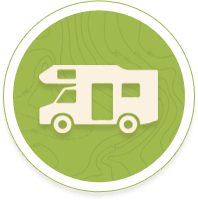 Offering pickup and drop off services through their company, Might Campers provides self check in services online to speed up the process when you arrive, as well as 24-hour roadside assistance as well as a comprehensive review of everything the campervans can do. When getting out in New Zealand, Mighty Campers will set you up for success. Available Vehicles: The available campervans that Mighty Campers offers include the Lowball, the Highball, the Jackpot, the Deuce, the Double Down, the Double Up, and the Big Six. Locations: Branch locations for Might Campers include Auckland Airport, Christchurch Airport, and Queensland. Whether this is your first trip to New Zealand or you frequent the country often, traveling around in a campervan will provide a once in a lifetime experience that is unmatched anywhere else in the world. Combining beautiful and rugged terrain, New Zealand has incredible selection when it comes to natural wonders. This is only matched by the sheer number of options you have when figuring out where you will want to go and what campervan company you will want to hire.